Located in the Bangkok Suvarnabhumi International Airport (Concourse G), the Louis' Tavern CIP First Class Lounge is free for holders of the ANZ Travel Visa Signature card. To be honest, I ended up first at the Business Class Lounge before being directed to the First Class Lounge since my card allows me to gain access to the latter option. Click HERE to read my previous review of the ANZ Travel Visa Signature Credit Card (which is a great card to have especially if you do not have airline status). 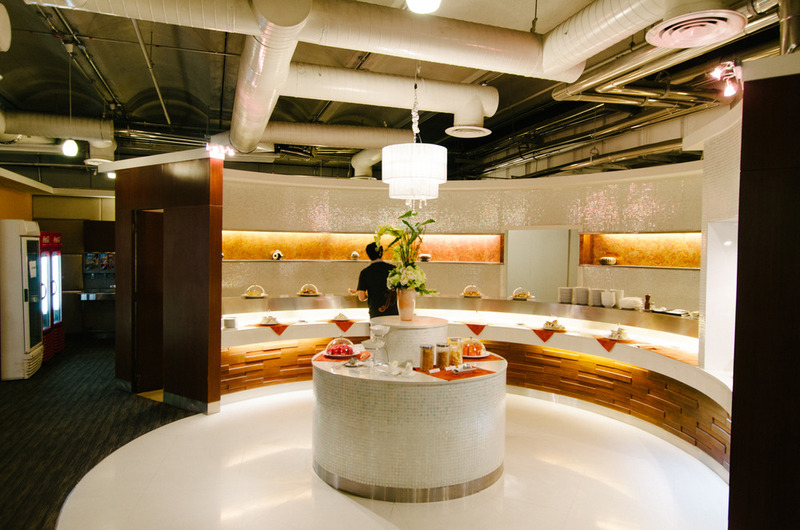 The Lounge is pretty easy to locate (amongst the other airport lounges) and you basically just have to hand your passport, boarding pass and the ANZ Travel Visa Signature Credit Card to the receptionist who will be able to give you access. Complimentary WiFi is provided in the lounge but you will require a password that you can request from the very same receptionist. Despite being called a First Class lounge, there is nothing First Class about this place at all. Unless of course, you consider it to be first in its class to be bad. While it would have passed off as an indie and grunge looking bar or cafe, the lounge was almost dreadful to be in. The hot food selection was pretty much just a selection of various stale sandwiches and dry quiches. There was no variety and no quality whatsoever in the selection of food they have chosen to provide. Thankfully for me, I went there with a really full stomach and I really just needed an alcoholic beverage. Cream of mushroom was also being served while I was there. Honestly, if you really have to come to this lounge, I highly recommend you eating before coming here. The saving grace of this lounge will definitely have to be the liquor selection which is pretty impressive (relative to the food selection). 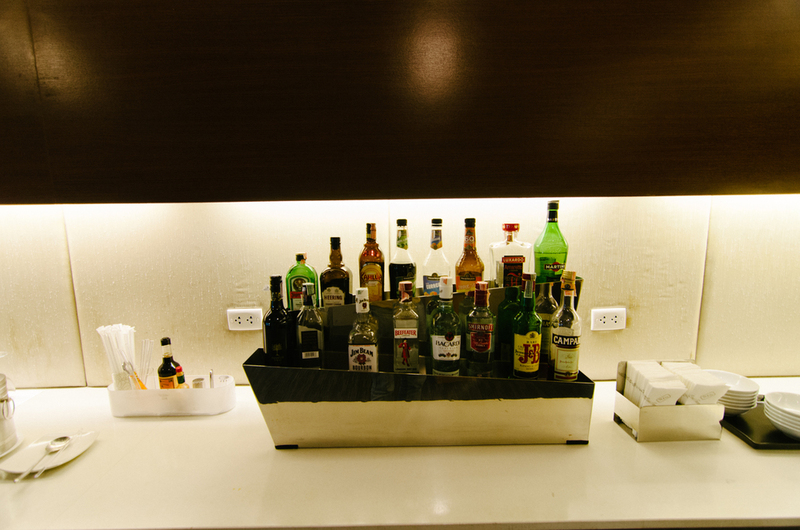 There is a rather extensive selection of liquor where you are more than welcomed to pour yourself a couple of shots. Basic coffee and tea making facilities can also be found next to the liquor section. Computers are available for those who wish to connect with the outside world and for some reason do not own a smartphone/laptop. They look rather dated though so be you'll definitely have to be patient with these. The lounge only has a small LCD screen with departure information so be sure not to miss your flight - it would be sad to lose track of time in a lounge like this. On the whole, the lounge may provide the business traveller to quickly check up on work emails and the get a drink but it is definitely not one that you would feel at home in. If you have a major layover, I would highly recommend another lounge instead of this one. The only upside of this lounge is that it is quite conveniently located and it was only approximately 5-10 minutes away from the boarding gate. If you are going somewhere next, remember to check out Zuji Singapore and use the promo code AUTUMN10 to take 10% off any hotel bookings made before 17 August 2014. This is valid for stays up until 31 December 2014.